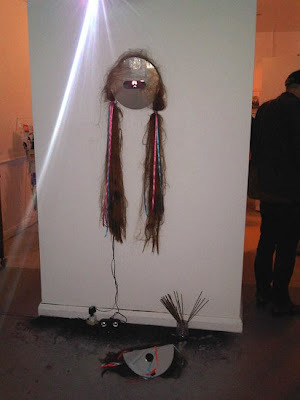 Hosted at Banner Repeater in 2011, 'Golem' by Plastique Fantastique saw a mirror faced 'avatar' appear on platform 1 of Hackney Downs station. 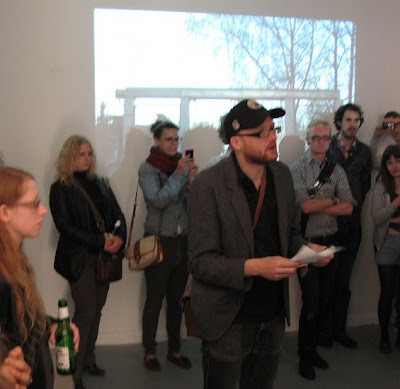 Walking in to the project space where a droning video set into a mirrored surface was playing, the 'Golem' asking that a member of the audience read to him a set of questions as he started at the screen. Clutching incense sticks behind his back the ritualised performance had a ludicrously sacred appeal. Plastique Fantastique are a collective of artists interested in politics, the sacred and popular culture working in performance, installations and comics. Alongside the 'Golem' performance their comic '...a history of the visitation' was published, where a swirling range of images bombards Earth and an alien culture enters the human blood stream. 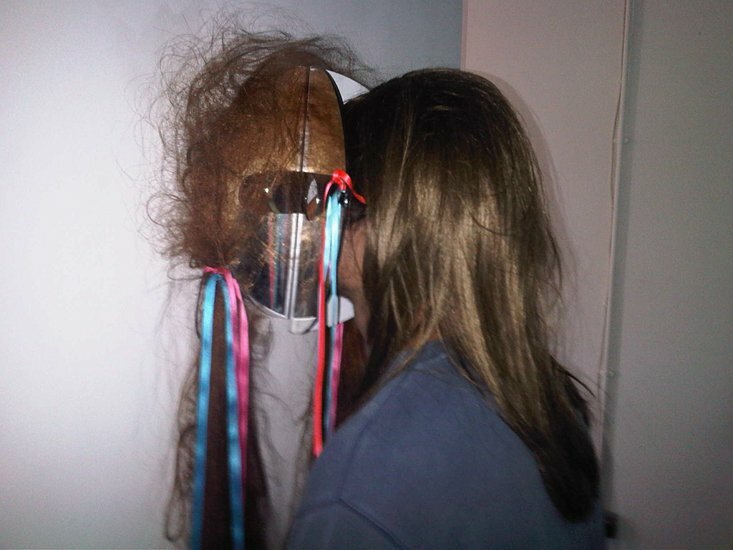 The collective is formed through a group of human and inhuman avatars, who deliver communiques from the extreme past and future, their manifesto written by Simon O'Sullivan states that the groups intentions is to shift the participants of their projects "from work time (utility) into sacred time (play)" by creating a ritualised practice.